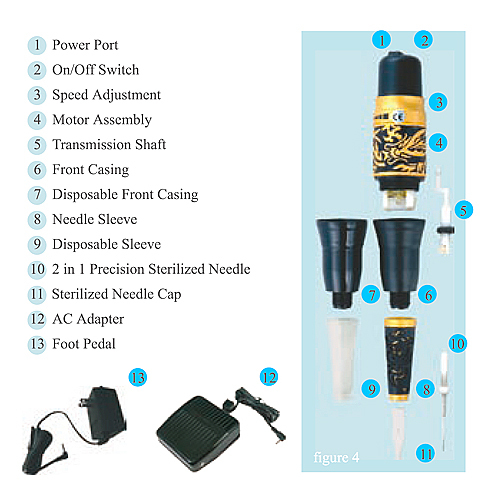 Tattoo Machine Kit, Dragon Tattoo Machine, Permanent Makeup Tattoo Machine, Tattoo Art - High quality Taiwan Tattoo Machine Kit, Dragon Tattoo Machine, Permanent Makeup Tattoo Machine, Tattoo Art provides by Jean-Modern's Ind. Co., Ltd. Fully Disposable accessories provide hygienic environment and safe application. Free speed adjustment provide out frequency according to users preference. Ultimate power which provides excellent application results on all permanent makeup. Procedures and even for small patterns of tattoo. Oriental design fancy Dragon Kit Box. 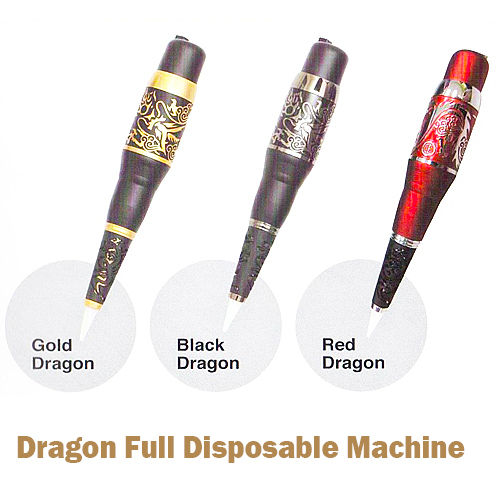 Dragon machine is specially designed for experienced professionals. Dragon machine provide ultimate strength, precision and stability you demand, With it outstanding performance dragon machine provide excellent and effortless application for eyebrow, eyeliner, lip makeup and even small patterns of body tattoos. This ideal machine is perfect for the beginner who just starting as well as professionals.